Your Reviews are very important to us! 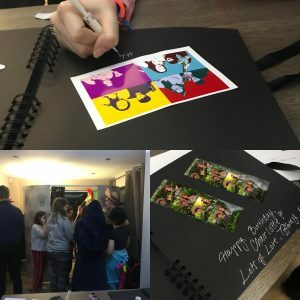 HIGHLY recommend Jest events, they came along to my daughters 18th party, the photo booth was a huge hit with guests of all ages, everyone received their own photos who went into the booth and a huge highlight was the lovely guest book complete with all the photos That was given to my daughter! Just wanted to thank you for such a fantastic evening you provided us on Saturday, everyone had such fun, you guys were really great! will definitely recommend you, and thanks for the album you gave us with the little messages from the guests that was a lovely touch. So much care taken to help everyone have a great time. The photos were stunning and great quality of print. Just want to say a massive thank you for everything last Saturday! both the rodeo bull & photo booth was a massive hit! 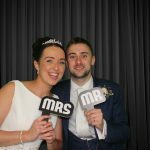 Just wanted to email and say thanks so much for the photo booth on our wedding day it was great fun and we have some brilliant pics from it! I also wanted to say how lovely and easy it was to use your company last month for my daughter’s party. You and your husband were so easy going and helpful and I wouldn’t hesitate to recommend you to my friends. These guys were very good, really polite and friendly, very professional and the equipment they used was first class. 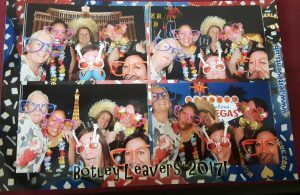 The whole evening went really well, thank you for making the party that much better, we had the photo booth, it was brilliant, EVERYONE loved it !! Thank you so much Jest Events, such an amazing eve. So organised and so much fun for the children and the adults!!! We cannot thank you enough for providing all the games at our party! We had over 80 guests and not one person was bored! Jest Events made our party. The games were excellent, all the staff manning the events were polite and welcoming and the whole process, from booking to packing up was professional and considerate. Claire, you have been so easy to talk to, very accommodating, very competent and every conversation we have had has been my pleasure. We could not have booked a better company to provide entertainment for us. We look forward to our next party, whenever that will be, and you will be the first company we will contact for entertainment. We have already recommended you to a couple who is hoping to have their wedding in the near future! A big thank you to you all once again! Good morning Claire, I just wanted to drop you a very quick note to say a huge thank you for the Photo Booth at our event on Saturday. Right from the enquiry stage, you were so prompt in replying and got back to me straight away with answers to my many questions. The photo booth was so well received by our guests and I know that they took advantage of it. You were most kind to help and support our charity bucket by mentioning it to our guests that they could place a donation in the bucket for a photo – so thank you for that. Please pass on my thanks to Matt for the great service on Sunday and for his lovely cheerful presence at the party. We were a bit on and off all afternoon with the showers but he was so nice about it all! 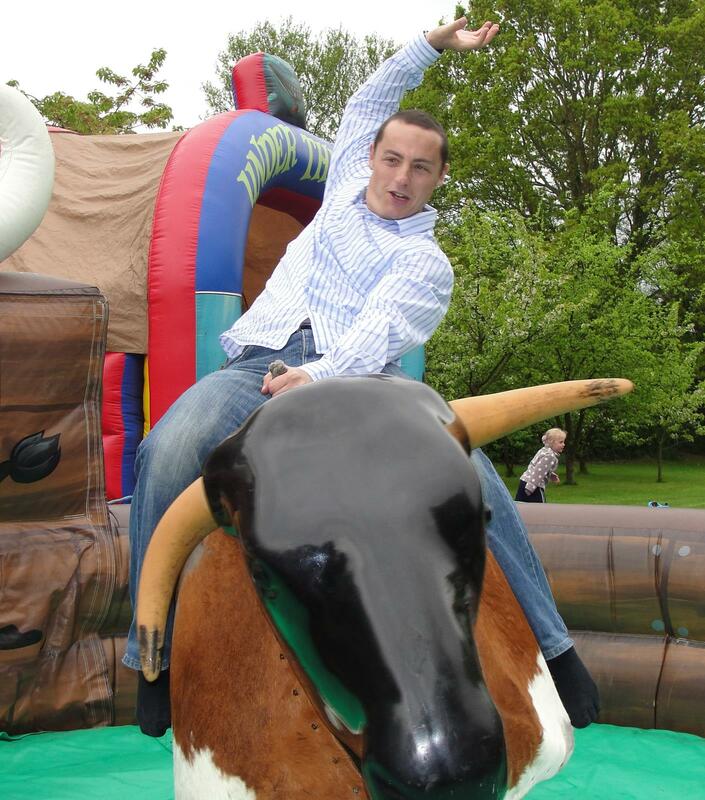 We would love to work with you again at some stage – the Rodeo Bull was perfect!! Just a quick note to thank you and your team for helping us put on a very successful summer party last Friday. The heavy rain in recent days presented a challenge for everyone in getting on site and set up but that was all invisible to our staff – they simply had a great evening! We had a high turnout and all the feedback received has been positive, which is very satisfying. It was over too quickly! Roll on next year’s, and thank you again. I just wanted to say thank you very much for providing the Surf Simulator and Photo Booth on Thursday evening at Priestlands Prom. Both were a resounding success and many of the students said that they thoroughly enjoyed them, as did the staff! The photos that they have from the Photo Booth are a great memento. Just wanted to drop you and Matt a line to say a huge THANK YOU so much for last night. Once again, the entertainment was second to none and Matt, as always, was a star. So polite and extremely patient with our rowdy lot! I’m sure we’ll be back in touch next year and do it all again. Oh, and the sun shone!!! Can you believe it?? I work for a large Insurance Company on the South coast and have used Jest Events for the last 3 years. What can I say about them? Reliable, value for money, fantastic service, patient, friendly and completely understanding of what our needs are. Matt turns up in all weathers and always has a smile on his face. I cannot praise this company highly enough and will always use their services, whatever the event. Once you’ve spoken to Claire and gone through all that is required, you know you’re in safe hands and all you’ve asked for will be provided. If you’re thinking of hiring them, just do it. You most definitely won’t be disappointed. A++++++ service with a customer delivery second to none. Thank you so much for making the party amazing! Just wanted to drop you an email to say a big thank you to Jest Events, Matt and Alan for helping us to make Buckfest a great event on Saturday. Feedback has been really positive and there is talk of doing it again next year, so watch this space! Thanks again for your help and hopefully speak again later this year! Thank you so much for providing the rodeo bull on Saturday. It was an excellent contribution to the party. Everyone had a great time. I would also like to add that not only was the booking process simple but your husband was such a pleasure to have as the operator. He was kind, helpful, pleasant, very amenable and his presence was very much a contributory factor to the enjoyment. Thank you and Matt for a fantastic time yesterday, very much appreciated! SPARSHOLT COLLEGE SUMMER BALL WITH THE RODEO BULL, SURF SIMULATOR, CAGE LIGHT REACTION & LASER SHOOTING GALLERY! Hi Claire & Matt, I just wanted to say a huge thank you for the amazing job you did on Saturday night at the Durlston Court School Ball. I am so sorry we had so many problems with the electrics on the night, but I admire you for the professional way you handled it all. Most people were completely unaware that there had been a problem at all! The feedback from the night has been very positive and all in all I think we can count it a huge success. Many Thanks again from Jo. Hello! Can’t thank you and your wonderful husband enough for your amazing service, excellent customer service and kindness in helping entertaining our guests at our doo on Saturday. So many people commented on how much fun they had in the cage, and what a pleasant man your husband is. We would definitely recommend your services. Very impressed! What a pleasure to deal with. I would like to thank you all for the Rodeo Bull you provided at the MDHU Frimley Park all ranks Christmas function held on the 13th December 2013. Everyone thoroughly enjoyed the Rodeo Bull challenge! Your services added to what was a very fun and successful evening, enjoyed by all. Just a quick email to say thanks for Friday! All the rides proved to be very popular and were a great addition to the party! Just wanted to say a big thank you for the bouncy castle last weekend, it was a absolute hit all around and kept the kids so entertained they were no trouble at all, so worth every penny! Just thought I’d say thank you for all your hard work on Saturday for my party. Everyone had a great time and we all appreciated your efforts to make sure that everyone was happy and having fun. Thank you so much for the evenings entertainment. 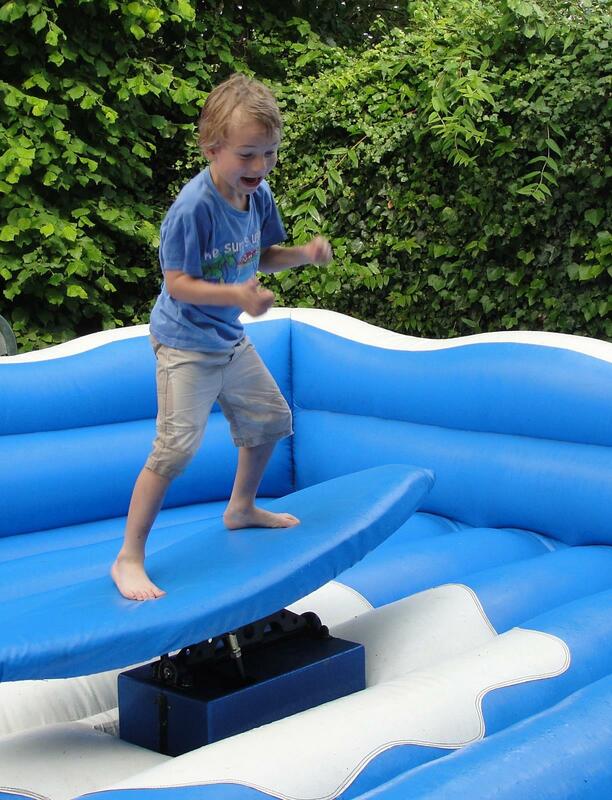 Everybody had a great time and all enjoyed the inflatables and surfboarding, children and adults! Have found the Gladiator helmet that went missing and will pop it in the post. Again many thanks, it made a very successful evening! Please pass Matt my thanks for the great job on Sat night. The games went down really well and I was impressed with how everything ‘appeared’ and ‘disappeared’ so seemingly quickly and easily at the end of the night. I will definitely be passing on your details to future function organisers. Would just like to say a huge thank you to Matt and Claire for the bucking bronco and gladiator at Charlotte Wiggins 21st Birthday party. It was great fun! Now that the dust has settled I would just like to express my sincere thanks for everything you have done for us, not only for last Saturday night but also for the other functions you have assisted with. I can honestly say that without your input / expertise our functions would not have been the great successes they have been. I have received nothing but positive comments for all who attended, even the VP was happy on Saturday night! The Mess President commented that Saturday was our best yet so it can’t have been that bad. Many Thanks again for all you have done for the mess and on a personal note I look forward to working with you again in the future. Just a quick note to say a huge thank you to you and Matt for a wonderful evening with Bully everyone had a great time. Matt was a star. Fantastic! Inflate-a-Play helped make my son’s birthday even better, all the kids had such a great time. Thank you Matt! I will definitely recommend Inflate-a-Play to my friends!